Hallowe’en – How to build a monster easily! I’ve had a few emails asking for tips on how to make monsters and ghoulish figures. So I’ve taken an extract from the play “Frankenstein’s Revenge – a play full of shifty manoeuvres and time travel” to demonstrate how we built the Monster’s Bride. Using these ideas you can build your very own monster for Hallowe’en and then bring it out year after year for the spooky season. Note: having a resident monster is very helpful for answering the door to unwanted callers – you simply have it sitting in a chair by the open door – it’s amazing the effect it it has on people. The Monster’s Bride in her best outfit. How We Made The Monster’s Bride. We wanted to build Frankenstein’s Laboratory to demonstrate our vision of it to children. In the beginning, before the play was finished, we imagined that we would have The Monster on the table where Dr. Frankenstein was working on him. So we needed to get a monster. When we were thinking about getting The Monster, we decided to buy a mannequin and put blood and warts on him, a mask and then dress him. The problem was that we did not know a lot about mannequins and bought one cheaply over the internet. Originally, we wanted to lay The Monster on the table but when we received the mannequin he would not lie down. We had purchased a mannequin which would only sit up. After much thought, we decided that The Monster would be sitting in a chair and we would have The Monster’s Bride lying on Dr Frankenstein’s work table. These days we can buy masks galore on the internet, at car boot sales, in shops and on markets. After the mistake with The Monster, we decided to build The Monster’s Bride ourselves. It was suggested to me to use a frogman’s suit as had been done for Doctor Who’s original Cybermen. Unbelievably, as this was suggested, one came up for sale at the local auction house. So there I was waving my paddle with vigour and landing a fantastic bargain. 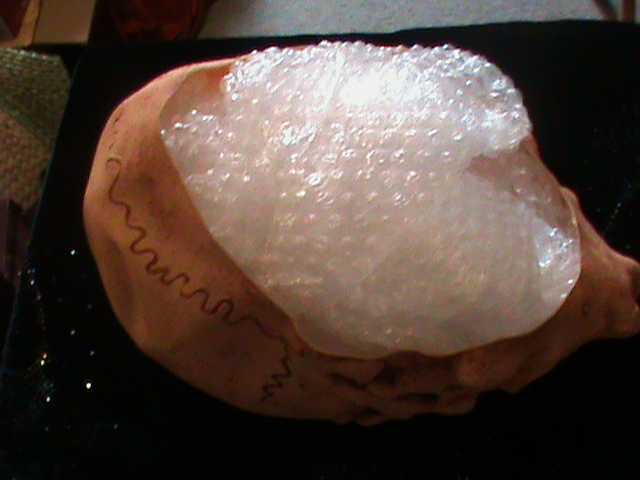 Bubble wrap is a great way to stuff a skull and it adds to the effect on the eyeballs when they are added. So when you receive a parcel, never, ever throw your bubble wrap away. Cheap bathroom decorations bought off a market, car boot sale or charity shop make weird eyeballs especially when encased in bubble wrap. The next part of the monster’s bride was easy. That is, apart from struggling to put a pair of black fish net tights on a stuffed, floppy frogsuit. I dressed the body in a long skirt and jacket and then attached a gory hand and foot, purchased off the internet. All that was missing was a head. 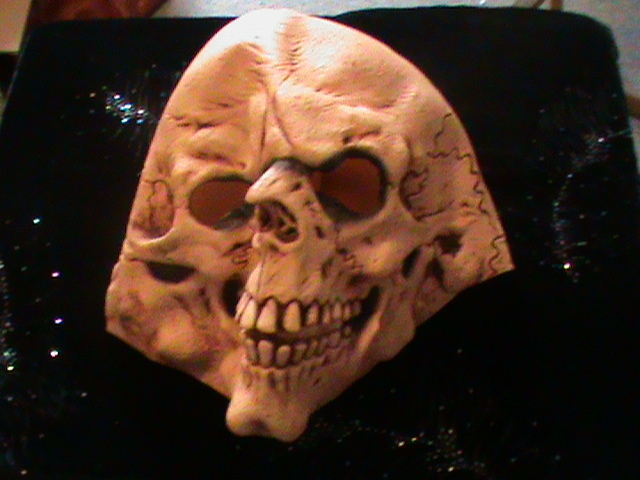 The internet is fantastic for masks. 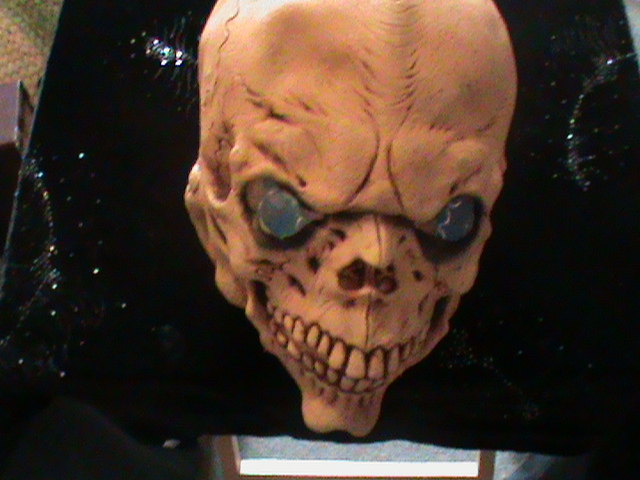 I bought an alien looking mask and stuffed it with bubble wrap. Two small blue plastic turtles fitted nicely behind the eyes. 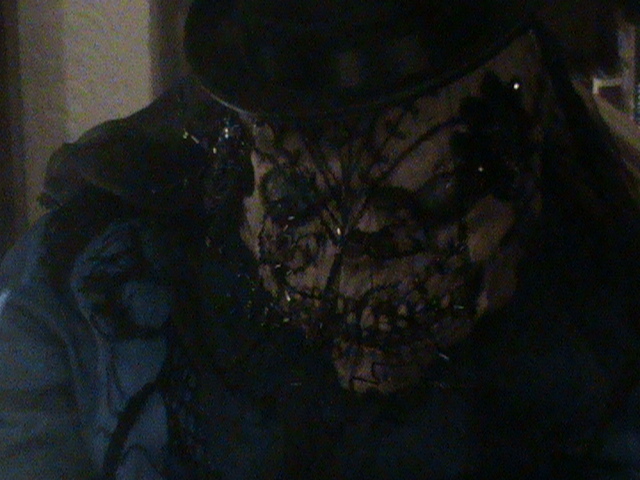 I used a coat hanger inside the monster’s jacket to attach the head. 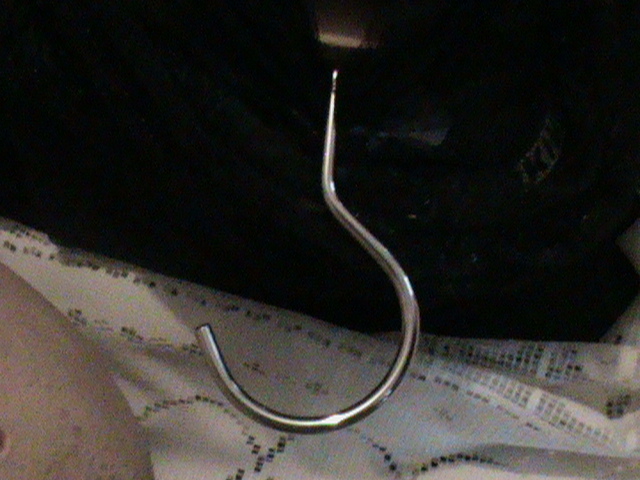 It simply latches onto the coat hanger’s hook. The monster’s bride was born. So there, you have a head in a few short steps. Frankenstein’s Revenge is aimed at introducing children to the novel “Frankenstein” but it wants to do much more than that. The intention is to use it as a springboard for creativity, including building a monster. 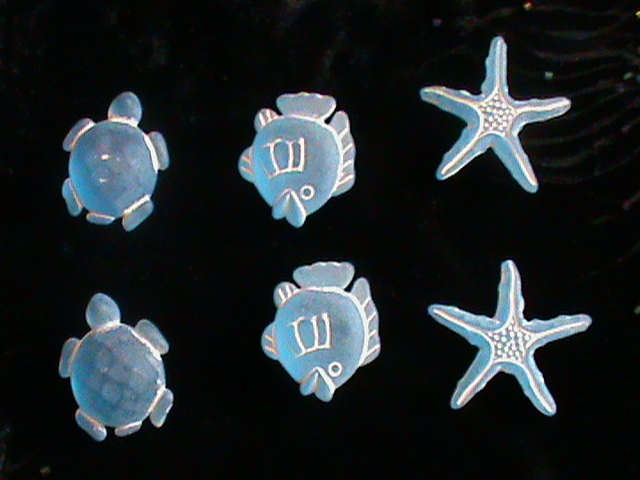 Once the main body is made, it can be used again and again for different productions; it simply needs a change of costume to convert it into a different character. Slipping a coat hanger inside the monster’s coat makes it easy to attach the head to the body and it also means that you can swap heads easily. Follow Loony Literature via email! Loony Literature is all about literature. We write books and plays, make video clips about them and encourage others to read, write, act and film more. Author's Den Where lots of readers and writers get together. Charles Dickens Online A Loony Literature recommended site of literary interest. My Hideous Progeny: Mary Shelley's Frankenstein A Loony Literature recommended site of literary interest. Shakespeare Online A Loony Literature recommended site of literary interest. The Consulting Detective A loony Literature recommended new writer. Will Blyton – The Alternative Detective. A boy’s detective antics set in the 1970s. loonyliterature · Encouraging others to read, write, act and film.